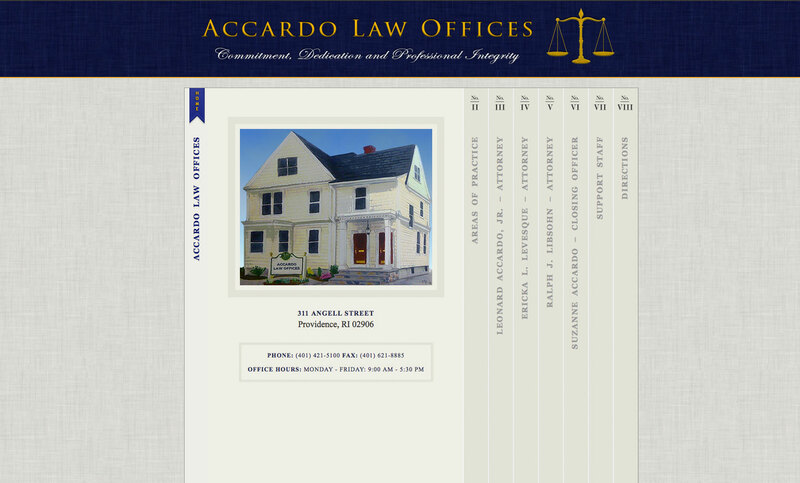 Accardo Law Offices is a small firm in Rhode Island that needed an update to their aging website. The image provided of their office building presented a challenge. The perspective of the painting was off, but it wasn’t anything we couldn’t fix in PhotoShop. That, of course, was imperative in giving the site a professional look. The simple functionality of their site is what makes it interesting. Everything is on a one page slider. As the viewer flips through, it’s like they’re paging through a brochure.